LiveWallpaper is a simple application which replaces our boring default wallpaper with a completely animated OpenGL wallpaper. 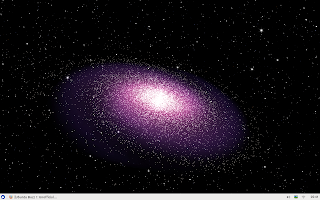 At this moment, LiveWallpaper only comes with two animated wallpapers: Nexus and Galaxy. 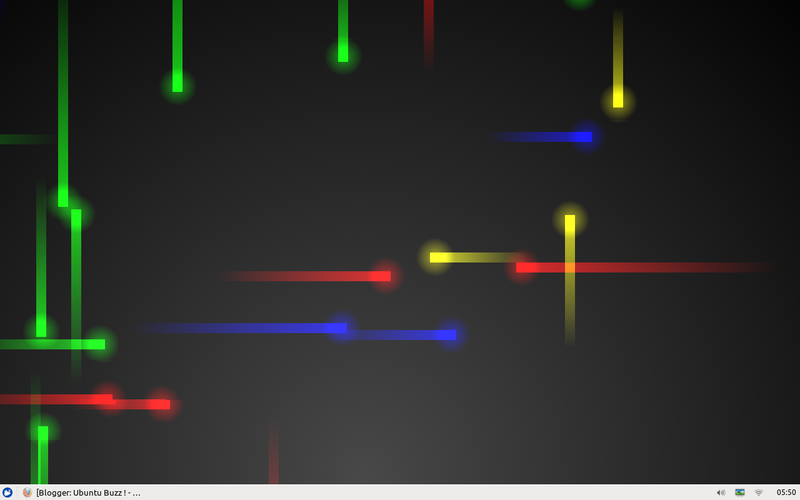 When you run the LiveWallpaper application, your desktop wallpaper will become animated. 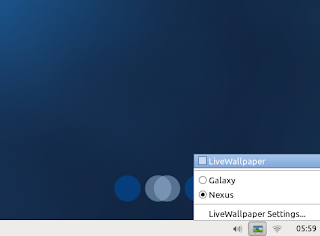 LiveWallpaper comes with an indicator application too, so you can enable and disable live wallpaper quickly. 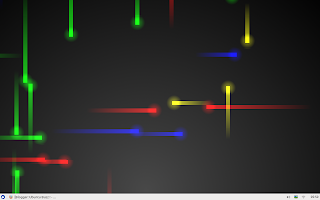 The LiveWallpaper setting gives you more complex settings to each wallpaper (Galaxy and Nexus). You can set the appropriate FPS for this application to fit your need and performance. LiveWallpaper might use high CPU resource, so if you use old computer, it's not a good idea to install it on to.